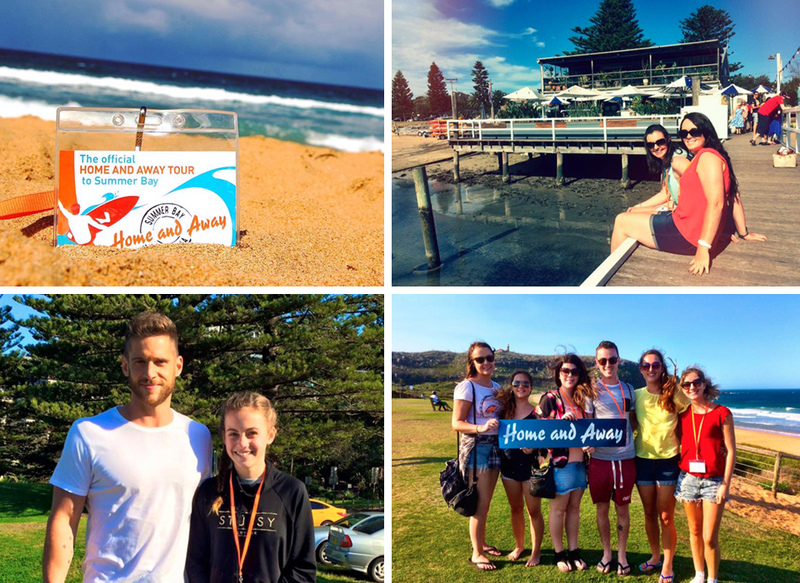 The Official Home and Away Tour is one of the easiest ways to take in some of the show’s key sights, while learning more about the locations and the show’s history. With hundreds of locations dotted around Greater Sydney, you could easily spend days working your way around the area, and a tour is the perfect option if you’ve only got a few hours to spare. Since 2013, Flamin’ Galah have been Back to the Bay’s preferred tour partner, offering a unique tour of some of the most famous ‘Summer Bay’ locations throughout Sydney’s stunning Northern Beaches. In 2015 Flamin’ Galah were proud to join forces with Channel Seven to launch the Official Home and Away Tour. Soak up the Summer Bay lifestyle and re-live your favourite scenes while you explore, photograph and discover the “home” of Home and Away – one of Australia’s finest beaches. As well as the golden sands of Palm Beach itself, you’ll see numerous other exterior filming locations such as the Summer Bay Surf Club, The Pier Diner/Alf’s Bait Shop, the Rock Pool and the iconic lighthouse on the headland. As a bonus, you’ll learn lots about Sydney and the beautiful natural surrounding areas, taking in views of national parks, coastal inlets and multi-million dollar real estate. The tour will be run by an expert Home and Away tour guide—ready to fill your tour with exciting stories, gossip and interesting facts about the show—and you may even be lucky to spot some filming. Die-hard fans will never forget the thrill of watching Home and Away being created and the possibility of being up close to their favourite actors. Lasting just under 4 hours, the tour departs Mon, Tue, Wed and Fri at 1.15pm from outside the Museum of Contemporary Art on George Street, The Rocks, Sydney. Please wait at the Museum entrance on the George Street side and NOT the waterside. The tour finishes around 5pm in Manly, where you can get a ferry back to Circular Quay in your own time (and at own expense). The ferry takes about 30mins and costs approximately $7.40. Tours start from outside the entrance to the Museum of Contemporary Art on George Street, The Rocks. The bus travels to Palm Beach Wharf via Terrey Hills. From Palm Beach Wharf, the tour drives around to Palm Beach itself. You then get some free time around the beach area and the Summer Bay Surf Club. If the cast are filming, you can watch, take photos and maybe even meet the cast. The tour heads to Station Beach where can you visit the Pier Diner & Alf’s Bait Shop, before heading down to the southern end of Palm Beach to visit the infamous Rock Pool (where Charlotte King got shot in the 2015 season finale!). The tour then takes the scenic roads to Whale Beach, Avalon Beach and Bilgola Lookout, passing filming locations such as the Braxton & Palmer houses and many spectacular views along Sydney’s magnificent coastline. On the way to Manly, your tour guide will point out areas like Fisherman’s Beach where the old Beachside Diner is located and the River location at Deep Creek Reserve, where Michael Ross drowned whilst saving foster son Sam. At the final stop, you can explore the world-famous Manly Beach and enjoy one of Sydney’s finest tourist destinations. Soak up the bars, the restaurants, the shopping, the beaches, the lifestyle, and to top it all off, you can take the ferry back to Circular Quay across the spectacular Sydney Harbour (at own expense). Will I see the cast? The tour runs on three of the most likely weekdays to see filming, Monday to Wednesday, as well as on Fridays. With filming schedules varying from week to week, it can’t always be guaranteed that you’ll see the cast in action on Palm Beach. However many tourists are lucky enough, and some even get the chance to meet the cast and get their autographs. Tours cost just AUD$105 per person and depart Mon, Tue, Wed and Fri at 1.15pm. 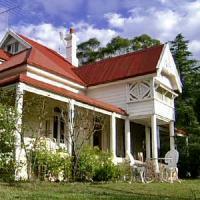 Use the booking form on our site to place a booking direct through Flamin’ Galah Tours. Please note, when you place a booking, Flamin’ Galah will check availability and get back to you with confirmation as soon as possible after you have placed your order. Payment will not be taken from your card until availability is confirmed.